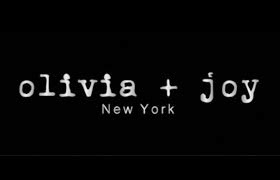 Olivia + Joy is a company offering fashionable, trendy and affordable hand bags. The collection ranges from dainty ruffles and bows to rocker girl edge with studs and chains. They are fab. They are fierce. They are affordable! The Julep Top Handle purse is a beautiful bag from the Julep Collection. Save for the fact that it is somewhat ornate, with a chain strap and tassels, it's somewhat casual, somewhat business and all carrying space. It's somewhat big. But, it's not huge enough to take out annoying others, unless you pack it full of sodas. That aside, it's also sturdy and well made. The Julep Top Handle offers two modes of carriage. The first is a top handle and the other is a shoulder strap. We are rather spoiled to this. One mode of toting is simply not enough for our tastes. The body of the purse is comprised of two main areas and each of these is zippered, with a pull-tassel. One area features a smaller zippered pocket and the other has a pocket, sewn into two compartments for easy access to slide-it-in items, such as sunglasses, mints and a package of lemon-lime salt. The outside of the purse features a zippered compartment, complete with the two aforementioned tassels. This makes for an easy time grabbing hold of the zipper, when you're standing in line, in a hurry and some overzealous salesperson has their hands almost in your pockets trying to collect. This is a purse of substance. It retails for $98.00 and can be purchased from the Olivia + Joy web site.